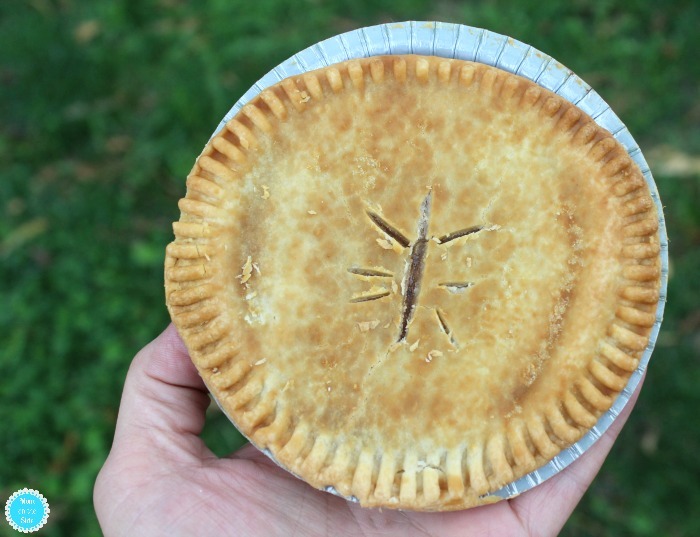 Twenty-one years ago Banquet Pot Pies entered my life. Introduced by my boyfriend, who now calls me his wife. You’ve really never had a pot pie, he asked confused. Seriously dude I haven’t, seeming very unamused. Then I took a bite and oh my gosh what I’d been missing. Delicious homemade taste you want to savor like kissing. My Banquet Pot Pie love started off with chicken. Soon after though, different flavors I was picking. 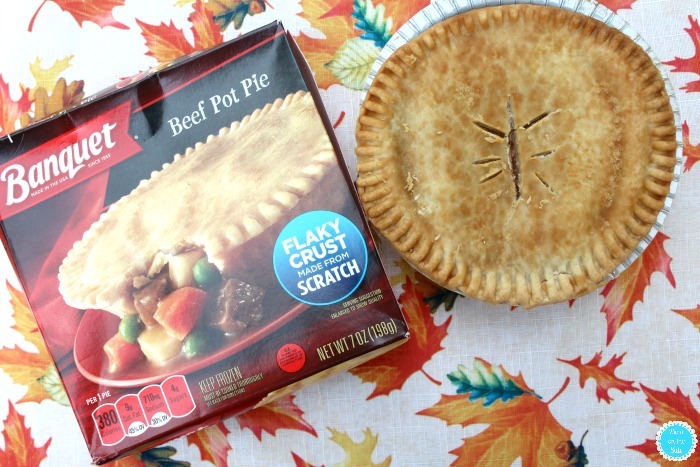 Banquet Beef Pot Pies are now one of my fall loves. Golden flakey crust made from scratch pulled from the oven with gloves. 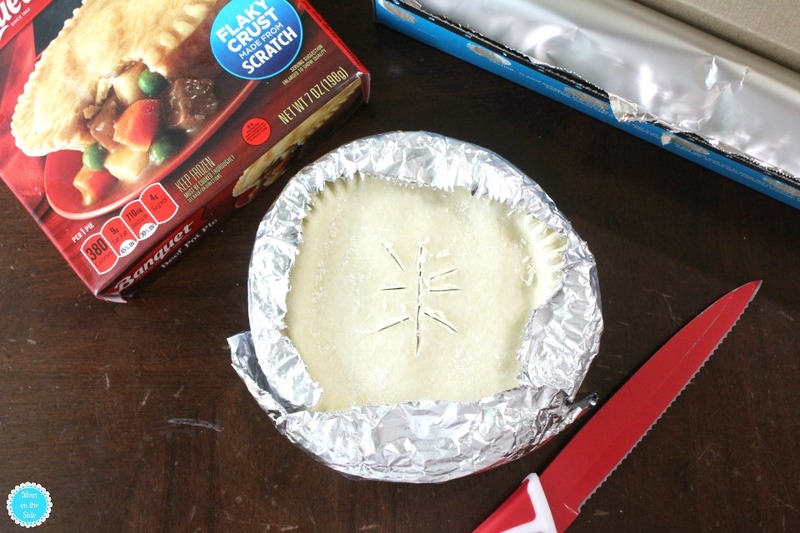 I like covering the edges with foil when baking in the oven. Makes them even more delicious when we’re grubbin’. You see, I’m a busy mom who loves convenient meals for her family. Keeping my kids and husband fed while helping me keep my sanity. We’re also getting wholesome ingredients with each Banquet Pot Pie. Plus, a meal like this leaves very little dishes to wash and dry. Now that fall is here, I’m all stocked up on Banquet Pot Pies. Opening the freezer on busy nights they’re like winning a prize. Get stocked up to for quick and easy satisfying meals. Knowing there’s also an IBOTTA offer will give you all the feels. Okay, in all seriousness, not that my Ode to Banquet Pot Pies didn’t come from the heart but all rhyming aside, they really are always in my freezer. On nights where one child has an after-school club, another has 3 hours of marching band, and two others have a fire safety event at school, well easy is how dinner goes. I can avoid the drive-thru and serve a wholesome meal by tossing Banquet Pot Pies in the oven. Paired with some sliced apples and a glass of milk, everyone is happy including mom, who doesn’t have a lot to clean up!